Here&apos;s a glimpse of the long-gone Mecca Apartments: a massive 96-unit apartment building that began life among the city&apos;s finer residences, then hit times hard enough to put it in the path of bulldozers making room for future landmark, IIT&apos;s Crown Hall. Built in 1891, the four-story Mecca spanned the north side of 34th Street from State to Dearborn. Made of brick and terra cotta, the building belonged to a class of large and ornate early apartment houses built around Chicago. Its most stunning feature can be seen in the photo above: Each of the building&apos;s two wings feature a skylight interior court – 34 feet wide and 178 feet deep – ringed by apartments. 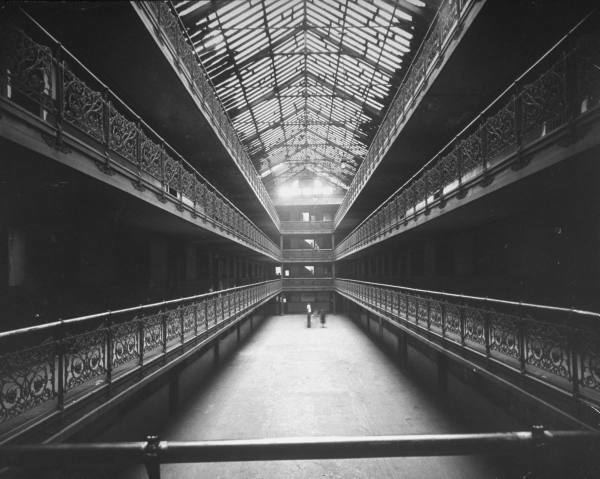 When it opened, the Mecca was billed as the largest apartment house west of New York. The Mecca&apos;s heyday was relatively short. 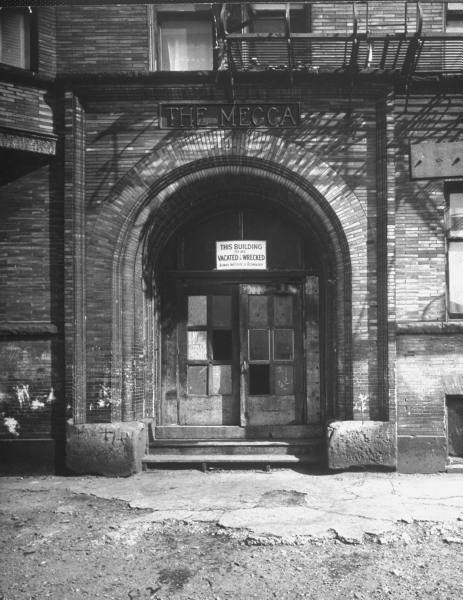 By the mid 1920s, the building had begun to fall into disrepair and also found its way into musical lore with "Mecca Flat Blues." The Illinois Institute of Technology bought the Mecca and spent 15 years trying to demolish the structure as apart of its campus expansion plan. 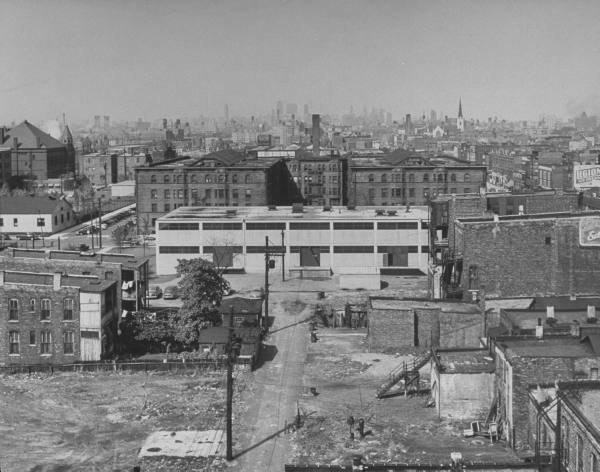 Black state legislators passed a law that stopped demolition for years, fearing the razing the building would contribute to the acute housing shortage facing returning World War II vets. 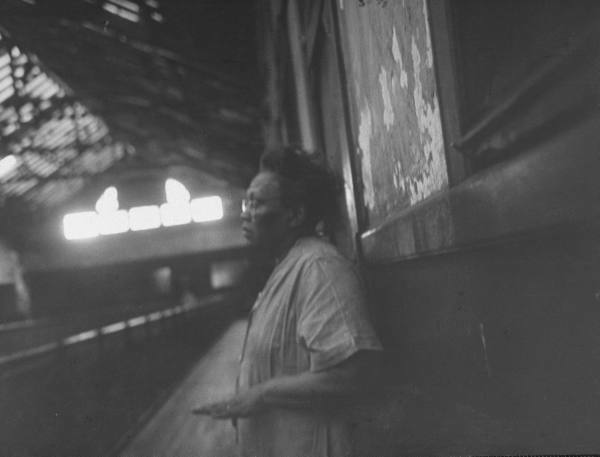 The Mecca had become so much a slum dwelling "the janitors went around wearing pistols just like the cops," a former resident told newspaper columnist Vernon Jarrett back in 1982. By 1950, the university was able to get its way and the Mecca was demolished in 1952. 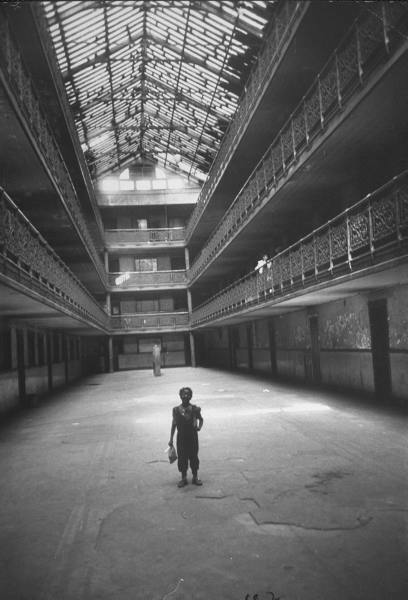 LIFE magazine hired photographer Wallace Kirkland in 1951 to take these haunting images of the Mecca&apos;s last days. You can see more on LIFE&apos;s archives on Google. The Mecca was designed by the Chicago architecture firm Edbrooke & Burnham, who were also designers of the Georgia State Capitol Building.